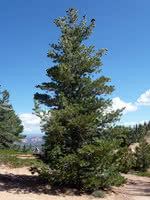 Limber Pine is hardy, long-lived tree found specifically in sub-alpine areas of North America. This slow-growing evergreen will attract birds and squirrels to your property. 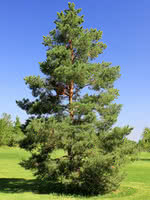 Limber Pine will be a beautiful ornamental tree for your yard. We do not grow this slower-growing species each year due to smaller demand and the slow growth rate.